The classic cut shirt is the perfect choice for today's busy woman. Features a stylish tailored fit that looks great tucked in or out. Includes 2 tab collars. Available in Black, Blue and White. Specify color and size when ordering. 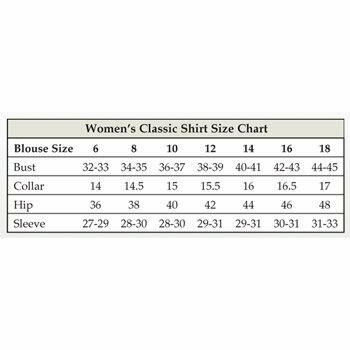 See sizing chart for details.